Yesterday, I spoke about asking for help. This can be particularly difficult for some of us. We would rather do things our way, the way we envisioned, than have someone else do it for us. 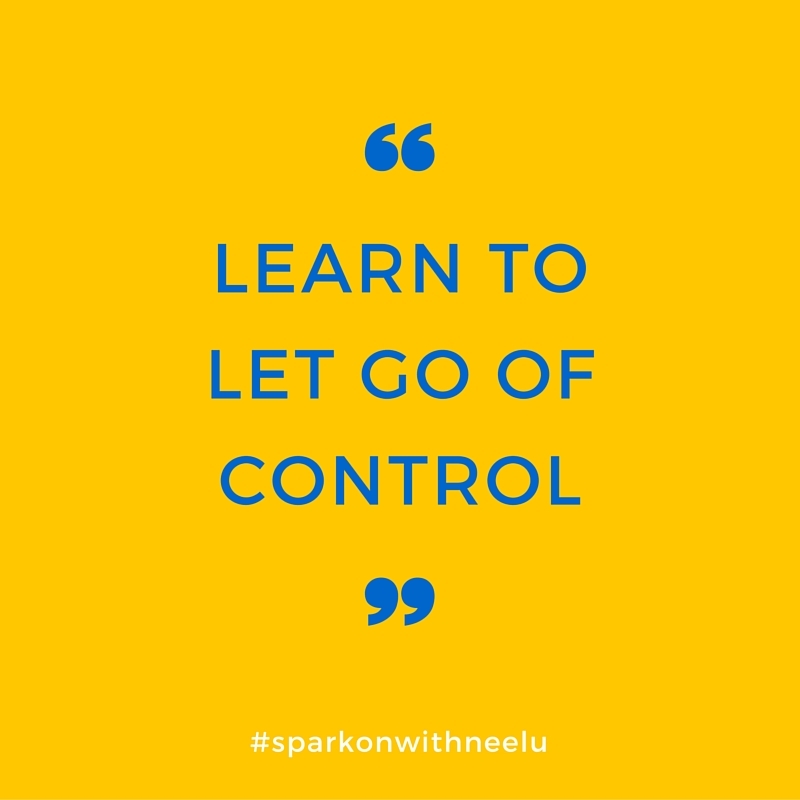 Letting go of control on everything has been a learning curve for me, especially since Amina was born. There was a time when I wouldn't let my cleaning lady fold our laundry as 'she wouldn't know how to space my children's clothes in their wardrobe'. *roll eyes* I can give you more examples. Now? I get her to fold our laundry, prep vegetables for cooking, water my plants and other mundane but time-consuming things. The end result is that I have fewer chores to worry about and more time to take care of important matters.